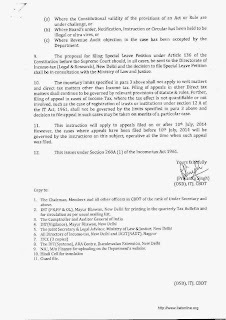 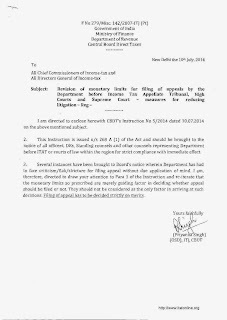 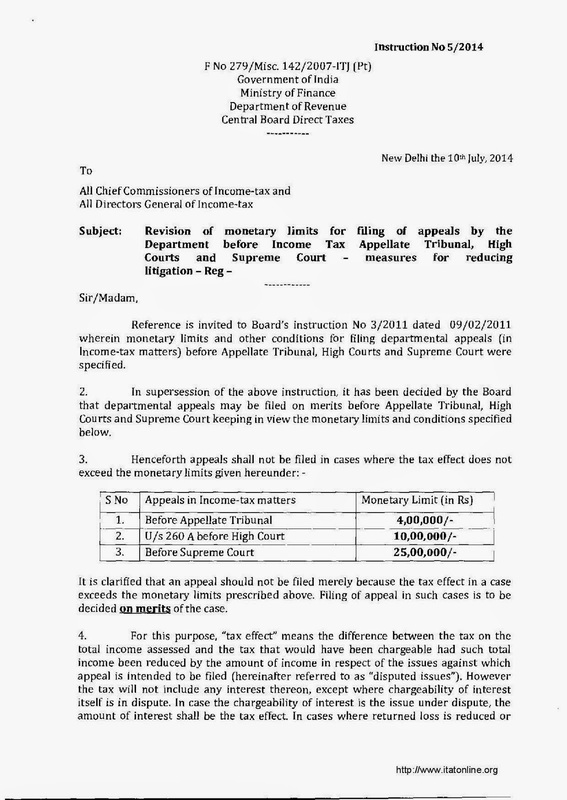 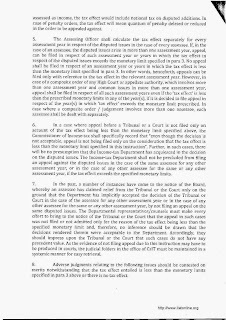 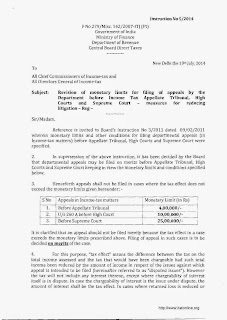 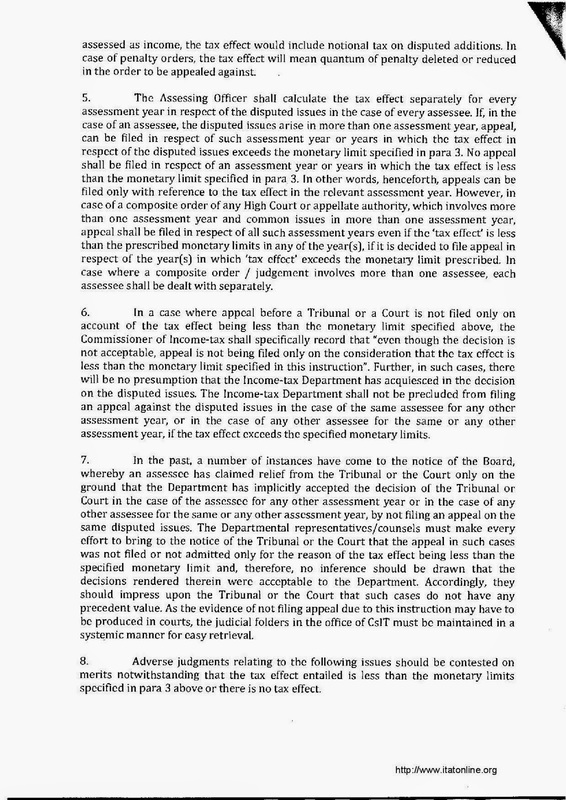 The Hon'ble CBDT has issued Instruction No 5/2014 dated 10.07.2014, by which the monetary limits for filing appeals to ITAT / HIGH COURT / SUPREME COURT have been revised. 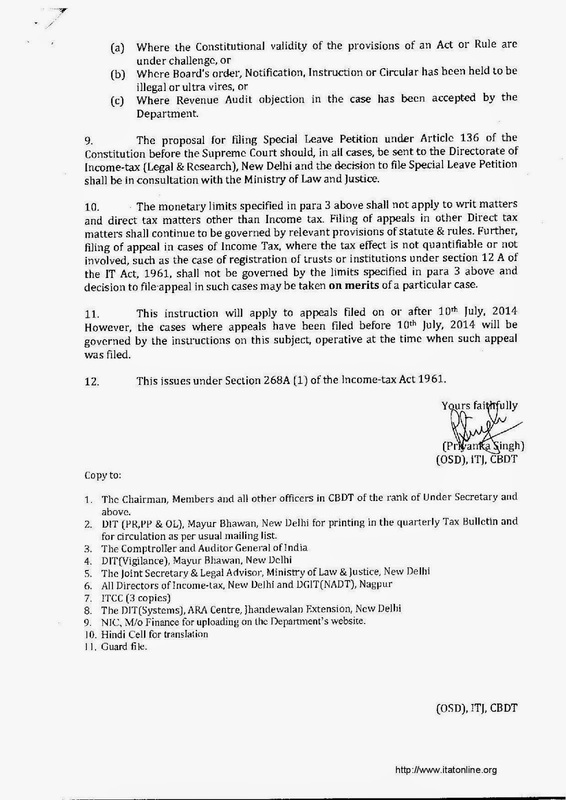 Copy of Instruction is attached for your information. 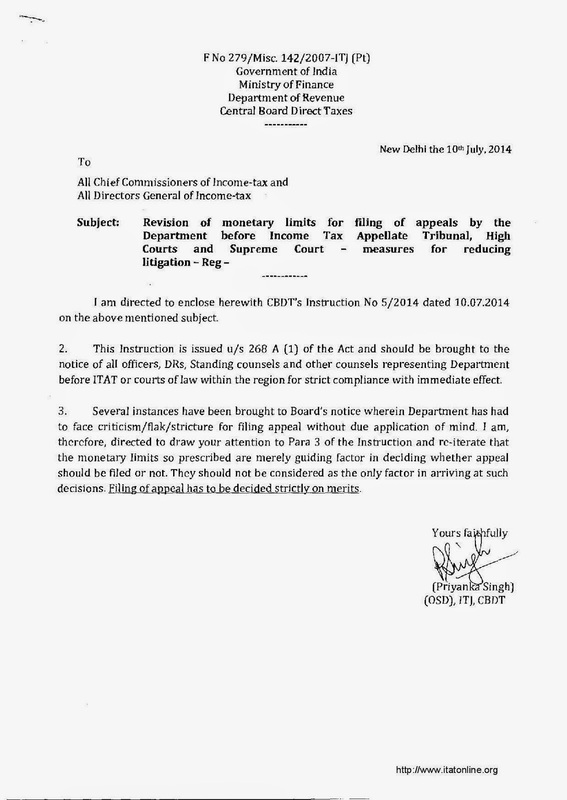 MCA UPDATE - Notification dated July 25th 2014.